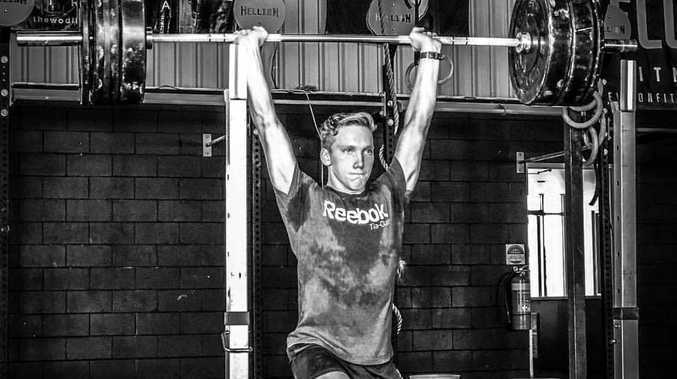 CROSSFIT: It was a sport that started as a favourite pastime for Will Kearney. But fast-track a handful of years, the 18-year-old will embark on a world-class competition overseas from January 17-19. He has qualified for Wodapalooza in the Teenager 16-18 boys division, which is an elite CrossFit competition held in Miami. Gladstone CrossFit head coach Kearney explained what he had to do to qualify. "You do two work-outs each week and then after that, they rank you on a leader-board type thing," he said. "In my division the top-15 in the world for that competition, they then get selected and qualify for Wodapalooza." Kearney finished eighth in his category in the qualifiers, which occupied most of October and took place at CrossFit Gladstone. "I just had to do the work-outs, film them and then send the videos in for them to be reviewed," he said. "There was no specific criteria, but obviously they give you standards and give you weights you have to lift and movements you have to complete to do the work-out. But it's purely and just general CrossFit work-out." Kearney only began CrossFit when he was 14 and was introduced to it by his mother's friend and so he went and did a couple of sessions. He became addicted after some initial hesitation and some input from arguably Gladstone's greatest athlete and now US-based Tia-Clair Toomey helped as well. "As I started going a little bit more consistently, I met Shane (Orr) and Tia and I then got asked if I wanted to train with them," Kearney said. "I started coming to train with them on weekends and it just ended up developing from there. "I ended up training with Tia on a daily basis." Orr's input continues and he helps set up training programs. Kearney remains unsure what the three-day competition in Miami will entail. "I'm not too sure how many events or what the events are going to be yet, so am really sort of preparing for anything type thing," Kearney said. He has set up a GoFundMe Facebook page and said the support has been tremendous. "We've raised over $1500 and we're trying to get somewhere close to $2500-$3000 on that," Kearney said. "CrossFit Gladstone are doing shirts sales so every shirt that gets purchased, half of the profit goes towards me." A number of sponsors have also come on board, such as PK's Automotive Servicing and Jam Bar. "Heaps of businesses have helped me out and am very appreciative of it and it's awesome," Kearney said.